Touch Mobile TM now offer their first ever unli Easy Plan 150 to all their subscribers. 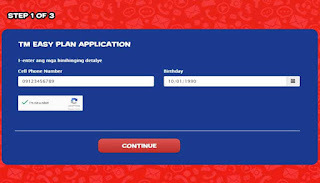 Super easy to apply, no need for you to wait for a long queue when processing your application. If you are registered to TM internet promo or any free Facebook subscription then use it to activate your plan. 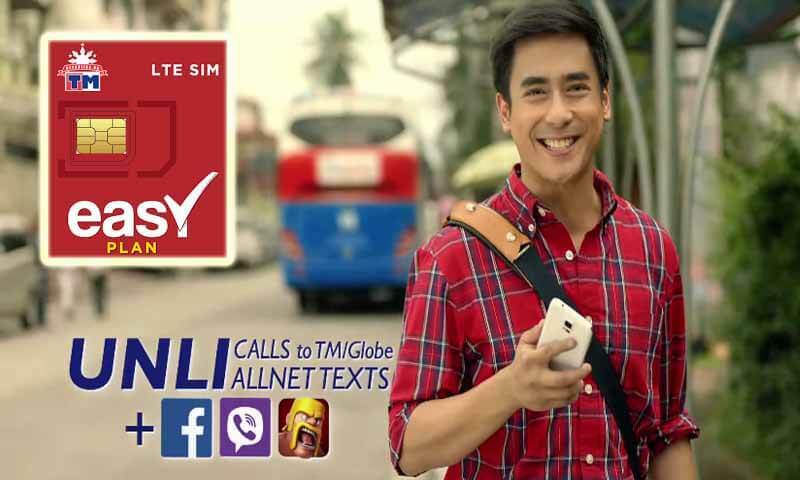 The TM Easy Plan gives you nonstop calling on the same network and with Globe, just dial the number you are trying to call no need for any prefix to connect. You can also enjoy unlimited texts to all networks, e.g. Sun Cellular, Talk N Text (TNT), Smart and ABS CBN Mobile. There’s more from this postpaid plan, you can also enjoy free internet on Facebook, Viber, COC and other online mobile games. If you’re a heavy caller and text user while on TM prepaid, this plan is the best way to save your communication allowance. It’s an all in package that is best for personal, business and students use in a less hassle subscription. Just follow the one-time application process, then it’s up to you when to end as there’s no lock-in period of the TM Easy Plan. Send a personal message to Republika ng TM page, state on your message that you’re applying for their Easy Plan. Wait for their reply, they will ask you to provide details like Name, Birthday, Mobile number and valid ID. Send those required details for them to process the verification and activation of your account. Once you received an SMS notification that your application is approved, active your plan by texting TMEP to 8080. Wait for another welcome confirmation, after you received that message you can now start using your plan. Provide details on required field’s e.g. mobile number, birth date. You can still apply to Easy Plan 150 using your existing TM prepaid SIM, just follow the same procedure on application via Facebook starting step no.2. Do note that you need to pay 150 pesos on the first 15 days cut-off. Thru text: Just text TMEP send to 8080 for Easy plan sim users and TMCF send to 8080 for prepaid subscribers. Note: You need to reload your account prior to payment. If you’re using a dual SIM phone, TM is the best fit on your second SIM card slot. For those who want to start this plan, start on the first day of the month or 16th day to make use of the promo with the given fixed cutoff. TM Easy Plan is deceiving people. They say UNLI Calls but its really NOT. Your call are limited to 10 minutes only (per call). Where's the UNLI on that? The other promos have a much higher call limit compared to this "Easy Plan". No thanks to this one. really? is not totally unli calls? or maybe they cut the call if you succeeding the limits? Gano nga lahat ng unli calls ngayon for globe and tm limited lang.. also, we have to give atleast 1-2 minutes bago tumawag ulit pag tuloy tuloy ang tawag mo hndi ka na makakatawag ulit unless tumawag ka sa customer service hotline to activate your promo or wait for 24hrs. How to pay this one? Hi. is this already unli calls too? I am searching for TM unli call and text for 1 month. Sbe free fb bkt d ako mkpag fb? !so disappointed! Pano ko ibabalik sa reg sim ung gamit ko?